An integral component of management and security control systems, a CCTV system allows you to keep an eye on things even when you are out and about. CCTV surveillance is a great way to enhance the security of your home or business. However, just like any other technology, the value you derive from your CCTV investment depends greatly on the right selection of equipment and appropriate installation methods. 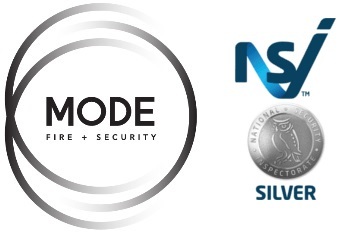 At MODE Fire + Security, we specialise in setting up a wide range of CCTV cameras, ranging from basic cameras that record analogue digital images to a recorder to technologically advance IP surveillance cameras that offer you superior quality image and better surveillance. Being a leading provider of security and fire safety solutions to households and businesses, we offer our esteemed clients a comprehensive range of surveillance products to choose from. Our long-standing professional relationships with some of the best manufacturers allow us to offer you the very best in surveillance technology that ensures you maximum protection and security. Box Cameras — Best suited for close surveillance on a fixed scene, box cameras offer single-point surveillance, but can be adjusted manually. These are commonly use for the surveillance of cashier terminals and can be weatherproofed for outdoor surveillance as well. Dome Cameras — Named for their dome shape, dome cameras are usually mounted on the ceiling or on a wall-mounted bracket. A versatile choice, dome cameras can be mobile or fixed and can be customised to have infrared illuminators, thermal vision, etc. Bullet Cameras — Bullet cameras are relatively small as compared to other surveillance cameras. They are best suited for small places because of their fixed focal length lens and compact size. PTZ Cameras — Capable of zoom control and remote direction, PTZ cameras systems are equipped with advanced surveillance technology. Therefore, in addition to surveillance, they are used for a number of other purposes as well, including video conferencing, live production, etc. In addition to CCTV security cameras, we also provide vehicle number plate recognition (VNPR) cameras for automated vehicle recognition. The cameras capture front or rear view of the vehicle. The image is then sent to the integrated image processing software that automatically scans the stream of incoming images to identify the number plate and vehicle. Whether you are facing trouble setting up your new surveillance system or you need assistance with the configuration of your digital video recorders, our professional and experienced CCTV installers can help you get up and running with your new CCTV security system in a quick, easy, and trouble-free manner.